Adding skin care and cosmetic treatments to the wedding checklist is a growing trend in the U.S. A few years ago, ABC News reported that there was a significant increase in brides enlisting the help of plastic surgeons before their big day. While some opted for surgeries, many others were looking for more subtle enhancements like Botox. Today, the trend is still going strong, and even grooms are doing a little maintenance before their weddings. The solution to all those little skin and hair hang-ups is to plan for treatments well ahead of the wedding. Ms. Crownover suggests that the first thing to schedule is an initial consultation at least one year before your event. This is the time to discuss what you’re interested in having done so you can work with the spa to create a custom treatment plan and schedule. Go over your key concerns, and inquire about the best way to achieve overall skin enhancement. “During an initial consultation and skin analysis we discuss important dates, your lifestyle and skin concerns to make sure to coordinate the treatments accordingly,” says Crownover. And don’t forget to ask about package deals if you plan to get a series of treatments. Ideally you’ll want to start laser hair removal as soon as possible to allow for plenty of time and treatments before the wedding. “After one treatment most people notice the hair is not as dense and grows back slower. But you will see better results as you progress in treatments,” says Renee Marshall, a medical aesthetician at Cadiz Laser Spa. The face in particular takes a very long time to treat because hair growth in this area is hormonal, and hormonal changes can stimulate new hair follicles to grow. In addition to ample time, Marshall suggests that brides and grooms stay out of the sun as much as possible. 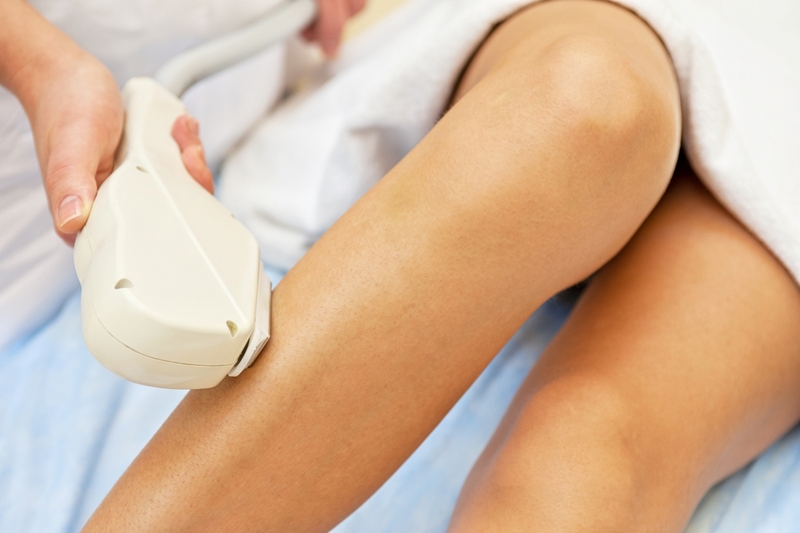 Laser hair removal works best on a light skin/dark hair combination, and it cannot be performed on skin that is tanned or sunburned. 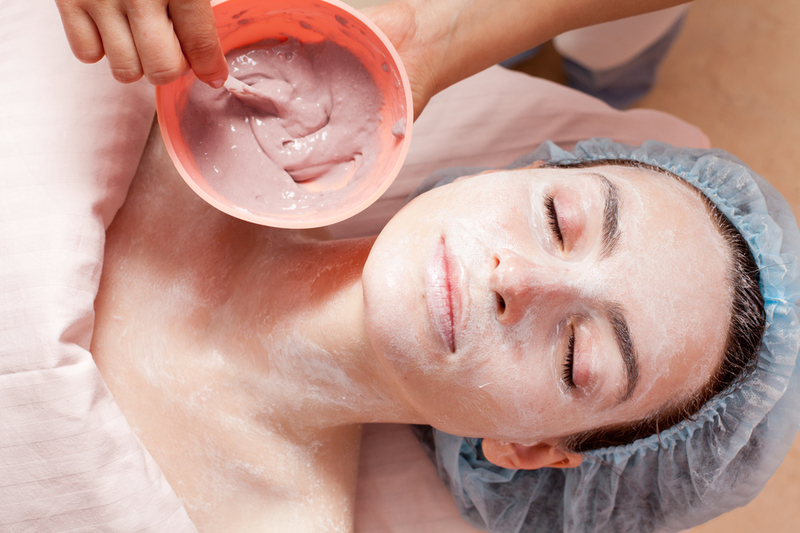 Many people use microdermabrasion to slough off the top layer of skin and reveal the fresh layer underneath. This treatment can help even out skin tone, reduce blemishes, smooth the texture and soften fine lines by basically “sanding” the skin. If you plan to do microdermabrasion treatments it’s best to have them done in a series well in advance of the wedding, especially if you have more challenging skin issues to tackle. Do note: if you have rosacea, moderate to severe acne or are prone to broken capillaries you may want to consider another treatment option as microdermabrasion can make the issues worse. Dermaplane treatments offer the same results without causing any trauma to the skin. Botox recovery time isn’t very long, but it’s best to do a trial run first so there are no surprises right before the wedding. If you like the results then your doctor will know exactly what to do a few weeks before the big event. If a number of the bridesmaids and mothers are interested in getting Botox you may want to consider having a Bridal Botox Party. Discuss the option of hosting the event at your spa and any special pricing based on the number of units the group will be getting. Dermaplane offers many of the same benefits as microdermabrasion, however it does so without creating any skin trauma. If you have rosacea, are prone to broken capillaries or would like to try a gentler exfoliation treatment, dermaplane is an excellent option. For optimal results a series of three or more treatments is suggested, however patients can expect softer, smoother skin and the removal of vellus hair (peach fuzz) after just one treatment. A deeper chemical peel is more economical and less time-consuming compared to lighter peels if you want deep exfoliation and glowing skin. However, there is a little longer recovery period involved. Medical aestheticians like Cadiz’s Wendi Crouse recommend that if your schedule allows it, the best option could be a few deeper peels rather than a series of lighter peels to achieve your desired results. There is at least a week of recovery time with a deeper chemical peel and the best results will be seen in about two weeks after the peel. Because chemical peels should be spaced about a month apart, it’s best to start these at least two months before the wedding. Facial plastic surgeons say that while you can wait as late as four weeks before the wedding to get dermal fillers, it’s best to start six weeks out if you’ve never had fillers or injections before just in case touch-ups are needed. Even if you don’t need a touch-up, some people experience bruising that can last anywhere between 3-7 days and swelling that can last up to two weeks. After the swelling has gone down, that’s when you and your doctor can determine if more filler will be needed to achieve optimal results. It’s best to choose a hyaluronic acid (HA) filler like JUVEDERM Plus or Restylane, because they can be dissolved with hyaluronidase injections in the off chance you don’t like the results. Most dermal fillers last at least six months, so getting them six weeks before the wedding gives you plenty of time to enjoy the benefits on and after the big day. It’s time to get your final deep chemical peel, microdermabrasion, laser skin treatment and/or laser hair removal so you have plenty of time to recover and get radiant skin before the rehearsals start. Now that the first round of Botox is wearing off and you’ve figured out exactly how to get the desired results, this is the time to get your second round of injections. It typically takes up to three weeks for the effects of Botox to fully set in, so waiting any later than that isn’t suggested. Though a traditional facial can be fairly gentle, there’s still a risk of someone having an unknown reaction to a product if they’re trying it for the first time. Because of that facials should be done at least a week before the wedding. If you’ve already been receiving regular facials, a treatment like an Intraceuticals Oxygen Facial could be done 2-3 days before the event, though it’s best to allow yourself a little more time just in case. 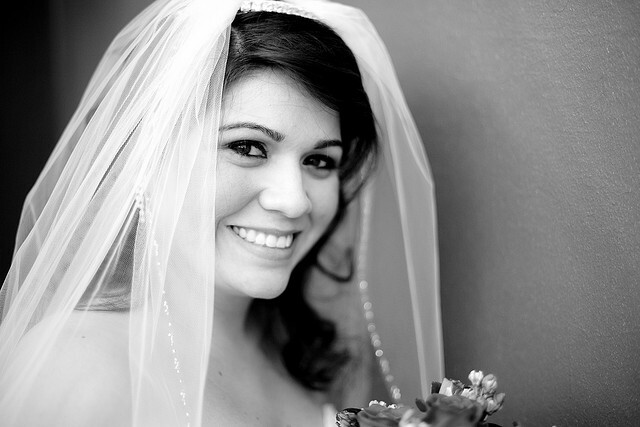 For brides the Cadiz Laser Spa team recommends a combination treatment of a dermaplane and oxygen facial. This will help brides achieve smooth, soft skin with added hydration for a healthy and glowing look. For grooms they tend to perform an oxygen facial or regular spa facial to refresh the skin. More and more couples want a fresh, glowing tan on their wedding day and the easiest way to achieve that is by faking it rather than baking in UV rays (which can hinder laser hair removal). Kelly Ladner, the resident airbrush tanning specialist at Cadiz Laser Spa, notes that with today’s products and techniques you can get a natural looking tan without damaging your skin. Plus, it’s much quicker and a specialist can customize the tan with contouring. The spray tan should be done at least two days before the wedding so that there is time for the color to settle after two or three showers. You may want to do a trial run a few weeks before the wedding if you’ve never had a spray tan or you plan to have it done at a spa you’ve never been to before. Beyond looking great on the outside, many brides, grooms and wedding party members say that pre-wedding beauty treatments give them a confidence boost, which is just as beneficial. The trick is to start early, and factor your cosmetic treatments into the overall wedding planning.